Spring is a time for new growth -- and that includes your dog's coat. Out with the old, fuzzy undercoats and in with the new, sleek fur. Although most dogs shed all year, shedding tends to be heaviest in spring. To avoid drifts of feathery fur piling up in the corners of your home, it's best to take a proactive approach and stay on top of it with a few basic dog-grooming tips. Unfortunately, there is no one-size-fits-all solution to grooming. The types of dogs that come to me as a groomer are mostly small companion dogs -- known more as lap dogs -- that have coats that continually grow and need constant trimming. I also see dogs with double undercoats (e.g., Spitzes or Huskies), which often shed just too much hair for the average owner to deal with. Many owners shave these dog breeds at the start of spring. But the larger, active breeds with short coats need much less care and can be done by you at home. 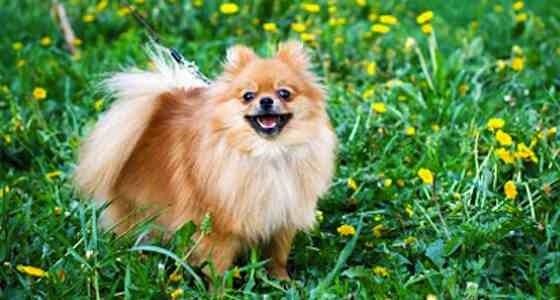 - If the coat looks dry, a gentle dog conditioner is appropriate. - Use oatmeal shampoo for dry skin. - Check paws for cracks and use paw ointment if necessary. - Check ears for cleanliness and signs of mites. - Launder dog beds and blankets. - Soak leashes and harnesses in gentle soap and hot water. Good for all fur types; helps circulate the oil in the coat. Excellent for pulling out the feathery undercoat. Best for mats and tangles in long-haired breeds. Made for short-haired breeds and is good for undercoats; stimulates circulation in dog's skin. Used for dogs with longer coats (e.g., Golden Retrievers) or dogs with thick, several-layer coats (e.g., Sheepdogs and Collies). When brushing, take your time and be gentle, especially when removing mats or tangles. Brush against the grain of the coat to pull out the undercoat, and with the grain to smooth out the overcoat. Also remember that your dog's nutrition plays an important role in maintaining your dog's healthy coat. Talk to your vet to ensure your dog is getting a well-balanced diet with enough fur-fortifying omega-3 fatty acids. While some of these dog-grooming tips might seem like a chore, your dog will love all of the one-on-one attention, making it a wonderful bonding experience for both of you. Is Your Dog Cut out for Field Trials? Should You Crate-train Your Puppy? What Is Freestyle Dancing With Dogs? Is Water From a Christmas Tree Stand Harmful to Cats?